A rapid and exciting transformation has been taking place in Indonesia’s health sector since early 2014, when the country launched a new Universal Health Coverage (UHC) initiative. 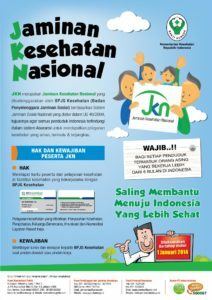 Indonesia’s Jaminan Kesehatan Nasional (JKN) health insurance program aims to cover the entire population by 2019. When fully implemented, Indonesia will have the largest social health insurance program in the world. So far, about 74 percent of Indonesia’s 260 million citizens are covered by JKN, and the poorest 90 million can now access fully subsidized health care. Indonesia faces many challenges in implementing this ambitious reform agenda. The rising costs of the JKN program, continued health worker shortages in many remote parts of the country, poor quality of care, inequitable access to services, and persistently high maternal mortality rates, continue to cause concern. And the informal sector —about one-third of the population—still lacks coverage: they are not poor enough to qualify for subsidized care, but also don’t have formal employment with health insurance benefits. How to expand coverage to this group, referred to as the “missing middle” by the Organization for Economic Co-operation and Development (OECD, remains a topic of debate. Since 2015, HFG has been working with the Government of Indonesia, USAID/Jakarta, and local partners to support efforts to move towards UHC. In mid- 2015, HFG conducted a rapid health system assessment to identify the continuing challenges and opportunities to strengthen Indonesia’s health system. The assessment team of local and international experts focused particularly on financing, governance, service delivery, and information systems. The final report describes Indonesia’s current efforts to identify poor and vulnerable groups; identifies strategies to engage the private health sector and improve the quality of private health service provision; and highlights opportunities for USAID to engage strategically in health systems strengthening efforts. In early 2016, HFG led a “UHC 101” training in Jakarta for 45 USAID and implementing partner staff to instill an understanding of health financing principles and options available to help Indonesia transition towards UHC. In 2017, HFG organized multiple learning exchanges during a Government of Indonesia (GOI) delegation, including a Director at the National Health Insurance Agency, members of the Indonesian Social Security Council, an advisor to the Minister of Health, Ministry of Finance representatives. The GOI delegation attended the UHC Forum in Washington, DC in April, and during that week also met with the World Bank and select Joint Learning Network countries to share experiences of Strategic Health Purchasing in decentralized contexts. The GOI delegation also met with the Maryland state Health Services Cost Review Commission, which presented an update on innovations Maryland is piloting and the Center for Medicare and Medicaid Services (CMS). In 2018, HFG continued wrapping up three main activities, including implementation research for UHC, exploring strategic health purchasing potential reforms, and supporting national health accounts analysis. A primary health care facility in Jakarta, Indonesia. As part of its strategy to achieve Universal Health Coverage of over 250 million people by 2019, Indonesia has entered an ambitious roll out of Jaminan Kesehatan Nasional (JKN), a single-payer national health insurance scheme. Implementation research (IR) is one potentially powerful mechanism for strengthening the implementation of JKN. With its emphasis on answering questions that decision-makers and practitioners are asking, providing real-time feedback from the field, and linking learning to corrective action, IR can help implementers understand not only what is and isn’t working, but also the specifics of how and why, and what can be done to improve implementation. In collaboration with the Center for Health Policy and Management (CHPM) at Universitas Gadjah Mada, HFG is bringing Ministry of Health leaders, district health officials, insurance program managers, and academics together using this “real-time” methodology to understand the inevitable challenges in carrying out complex health reforms and make potential course corrections to improve the rollout of JKN. HFG’s initiative to support IR was launched in late 2015. Through two cycles of IR, field research including interviews and focus group with physicians, health workers, Ministry of Health officials, district level health officials, and others are shedding light on JKN implementation policies from multiple stakeholder perspectives. The capitation payment arrangement as currently implemented is not improving the primary care gatekeeping function and provision of preventive services, to the extent that was initially expected. See policy brief for more on why. There is variation among the districts on the patient panel size per provider, supply of health workers and facilities, and spending. The first cycle of IR examined JKN regulations at national and district level, and identified gaps and inconsistencies and focused on financing for primary health care. The second cycle concentrated on understanding the existing incentives that are impacting the behavior and performance of primary health care institutions and the health workers that deliver primary care. Results from each cycle were shared with a group of national level stakeholders and with stakeholders from the five districts where qualitative research was carried out. In October of 2017, Dr. Dewi from CHPM and Dr. LeRoy from Abt Associates/HFG presented cycle 1 and preliminary cycle 2 findings to the HIV Linkages workshop in Jakarta. The workshop included HIV/AIDS service organizations that advocate for MSM, injection drug users, pregnant women and transgender individuals with HIV/AIDS. HFG is working with USAID to find opportunities to connect with the TB and MNCH linkages projects to share the results from the second cycle implementation research. CHPM also held a workshop for the UHC community of practice (October 2017); presented to the Health Benefits Policy Collaborative of the Joint Learning Network at its meeting in Seoul (December 2017); finalized the data analysis of cycle 2; and held a deep-dive workshop with district and national stakeholders to review preliminary finding and recommendations from cycle 2 research (December 2017). In 2018, CHPM created and shared multiple dissemination items to share findings from cycle 2 with district and national policymakers and implementers, including developing four short video clips, a regulatory review, five district briefs, and one national brief. More information is available on CHPM’s IR for UHC website. Achieving universal health coverage requires strong, precise data so that governments can make decisions based on evidence. HFG is working with Indonesia to generate accurate spending data for health via health accounts. Health Accounts is an internationally-standardized methodology that uses the Systems of Health Accounts (Sha) to capture the performance of the health system through its spending. For example, Health Accounts generate useful data on how resources for health are being generated and allocated, and whether there is sufficient spending for health. They help the government to understand equity challenges (e.g. are households bearing a significant burden of health spending) and where there is room to improve efficiency (e.g. are prevention services receiving enough attention, or how is spending distributed between primary, secondary and tertiary care levels?). In 2014, Indonesia introduced a social health insurance scheme, Jaminan Kesehatan Nasional (JKN), that is aimed to achieve Universal Health Coverage by 2019. 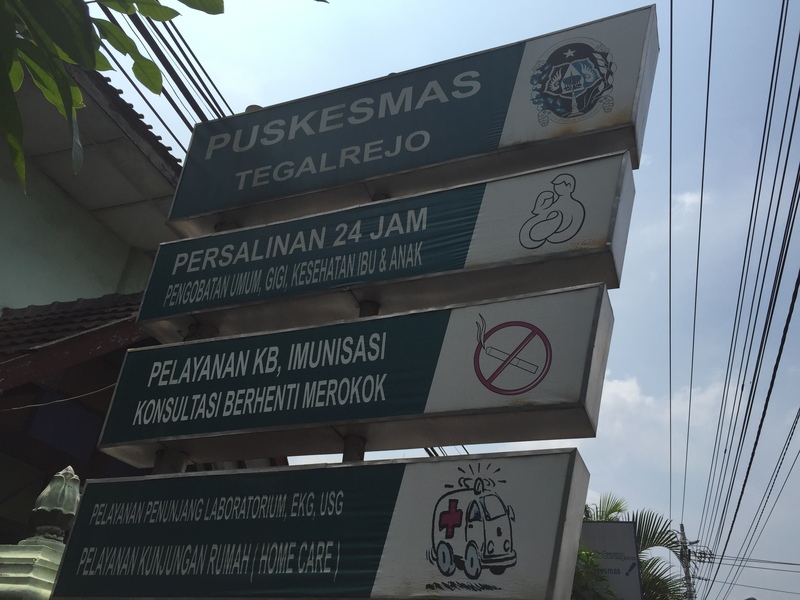 Health Accounts data will enable Indonesia to track whether JKN is having the intended impact of reducing out-of-pocket spending for health for households. HFG is providing technical assistance by partnering with the University of Indonesia and the Ministry of Health’s Center for Health Financing and USAID to produce and analyze Health Accounts data to support the government’s Universal Health Coverage reforms. P2JK has asked HFG to provide TA in (i) the production of 2015 and 2016 HA; and (ii) additional analysis to inform policy decisions on health financing. HFG’s role is to provide this technical assistance to P2JK in conjunction with the University of Indonesia’s Center for Health Economics and Policy Studies (UI-CHEPS), which has produced at least four previous HA exercises. In particular, P2JK would like to strengthen its technical capacity to interpret and analyze the HA data effectively to ensure policy-makers within and outside of Ministry of Health use the results to inform policy and strategic plans. HFG’s technical assistance to date has included providing quality assurance for the 2015 HA tables, reviewing the methodology for calculating out of pocket spending and disease distribution keys, supporting the finalization of an outline for a methodology document, supporting the development of a policy brief using 2015 HA results, and working with the team on 2016 HA production. With the roll out Jaminan Kesehatan Nasional (JKN), the Government of Indonesia (GOI) is poised to implement the largest national social health insurance scheme that aims to cover 250 million people by 2019. In the context of this expansion of coverage and rapidly accelerating demand for health care, the GOI and other stakeholders are directing attention to strengthening multi-level and multi-sectoral strategies and regulatory infrastructure that are related to issues of maintaining and improving quality of care. In 2017, USAID/Indonesia requested HFG to work together with DJSN and other GOI stakeholders to undertake a regulatory review of strategic health purchasing functions within the JKN, including both a desk review, informant interviews, and technical working group (TWG) discussions. The final report from this review was shared with all stakeholders including the MOH, the MOF, the National Health Insurance Agency (BPJS), and the National Development Planning Agency (Bappenas). The findings detailed how the MOH currently holds several core strategic purchasing functions, although in many other countries with well-functioning UHC schemes these are housed within the major purchasing agency. MOH responsibility for these functions was not authorized in the original national health insurance law, but due to historical norms the MOH has assumed these functions. There has been growing interest in the Asia region on how to enable health financing institutions to better influence quality of care among public and private providers through purchasing and contracting mechanisms, including better institutional collaboration with other concerned actors in the health system. However, a recent review of the literature and 25 country experiences by HFG, that documented the global experience with institutional roles and relationships governing quality, identified limited evidence base in regards to governance tools and arrangements that sustainable ensure quality of care in the context of universal health coverage (UHC). In order to address this gap, HFG launched a qualitative study to conduct an in-depth assessment of the institutional arrangements that link health financing to the quality of health care in Indonesia, Thailand, and the Philippines. In Indonesia, HFG will closely engage with BPJS-Kesehatan, Ministry of Health, District Health Offices, and other government bodies to implement this research study, which will culminate with dissemination and learning workshops at national and regional levels. This qualitative research study, funded by the USAID Asia Bureau, aims to explore the roles and responsibilities of payers in governing the quality of health care in Indonesia, the Philippines, and Thailand. Recently Dr. Koon, a qualitative research expert, and Ms. Laird, the Indonesia HFG country manager, traveled to Indonesia to introduce the study to relevant in-country partners, train the study team prior to data collection, and begin data collection at the national level. Data collection commenced with institutional informant interviews being conducted with 13 institutions, including multiple divisions of MOH, representing diverse experiences in quality and governance. These included quality management officers in private for-profit hospitals, leaders in various divisions within the MOH, BPJS, a representative of civil society and patient advocacy organizations, KARS, and PERSI. The teams conducted cross-country analysis with the data collected, and have prepared multiple manuscripts for publication and dissemination. A regional workshop was held in Spring 2018 to disseminate results to country stakeholders. See report below. Build consensus among major stakeholders on the evidence base, interpretation of existing evidence, and priorities for action. AIPI organized and managed the process over a 20-month period, culminating in an event in October 2017. HFG’s Dr. Laurel Hatt was in Jakarta from September 23 through October 7 to support the evidence review process, and provide expert inputs on questions related to health financing and MNH outcomes. During this process, Dr. Hatt was assigned to support the “Topic Area 3” group, which was responsible for synthesizing findings from systematic literature reviews on the effects of National Health Insurance (the JKN) on maternal and newborn health in Indonesia. Dr. Hatt provided technical feedback on the Topic Area 3 report as well as other topic area reports, identified additional global literature and sources of data relevant to the topic, drafted and edited PowerPoint slides, prepared and reviewed policy recommendations, contributed to small-group discussions during the Summit itself, and also participated in several debriefing meetings with both AIPI and USAID to discuss lessons learned and next steps. She accompanied the Topic Area 3 team to a meeting with MOH officials to solicit feedback on the group’s findings and recommendations. She prepared a detailed memo summarizing her feedback on the Evidence Summit process, and circulated this with USAID as well as the other external experts, who added their own commentary. In 2018, HFG was asked to assess the 2017 Indonesia MNH Evidence Summit process and summarize lessons learned to guide future activities for MNH knowledge management in Indonesia.